Hannah Peters/Getty ImagesHillary Rodham Clinton speaks at Spark Arena on May 7, 2018 in Auckland, New Zealand. Clinton also praised a New Zealand academic, Anne-Marie Brady, who has pioneered work on the Chinese Communist Party’s secretive arm that tries to influence policies overseas. Brady was targeted in a number of break-ins and threats at her office and home. Burglars stole computers, phones, and flash drives, some of which were related to her work. Attempts by China’s Communist Party (CCP) to influence local and national politics have been gaining steam in Australia, in particular. The federal government has drafted a bill outlawing foreign interference and political donations, and a former adviser to the prime minister even spoke on the matter with the US House Armed Services Committee in March. But Clinton also praised a local New Zealand academic who has done pioneering work on China’s United Front, the CCP’s secretive arm that tries to promote the party’s policies overseas. 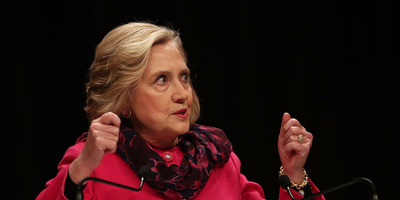 US intelligence agencies found that Clinton herself was the target of an influence campaign spearheaded by Russian operatives in the 2016 US presidential election, during which she was the Democratic rival to Republican Donald Trump. Earlier this year, speaking at an Australian parliamentary committee, Brady described how her university office was broken into in December and her home was burgled in February. Three laptops – including one used for work – two phones, and a flash drive were stolen. Days before the February break-in, Brady also received a warning letter threatening “push back” against those who oppose Beijing. 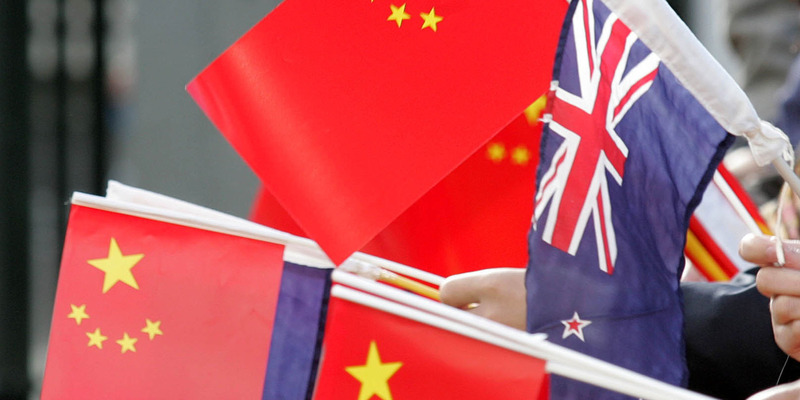 Brady has been researching how the United Front, which Xi Jinping called one of the party’s “magic weapons,” essentially uses New Zealand as a test zone for China’s political influence and interference campaigns. Some of these activities include “co-opting” the elite to promote Beijing’s interests and using business people with links to the CCP to orchestrate targeted political donations. Business Insider reported a similar case last week where intelligence agents in Beijing physically camped in a migration agent’s office in Beijing for two weeks, harassing him to end his advertisements in an independent Chinese-language newspaper in Australia. The incident is one of many attempts to cut funding to voices critical of the Chinese government in order to force closure or accept state funding along with state-driven editorial content. But Beijing isn’t just focused on local businesses. The Civil Aviation Authority of China is pressuring 36 foreign airlines to change references to Taiwan on their websites in order to promote the CCP’s political position and territorial claims.